The map above was created by the U.S. National Park Service, taking sound recording in hundreds of locations. Ah, can you hear it? The sound of the wind in the trees, bird songs, crickets chirping. Well, you probably can't. The subtle sounds of nature are being overpowered by the hum of car engines and hubbub of construction. Noise pollution is a real form of pollution, and it threatens our environment, wildlife and even our ability to hear natural sounds. 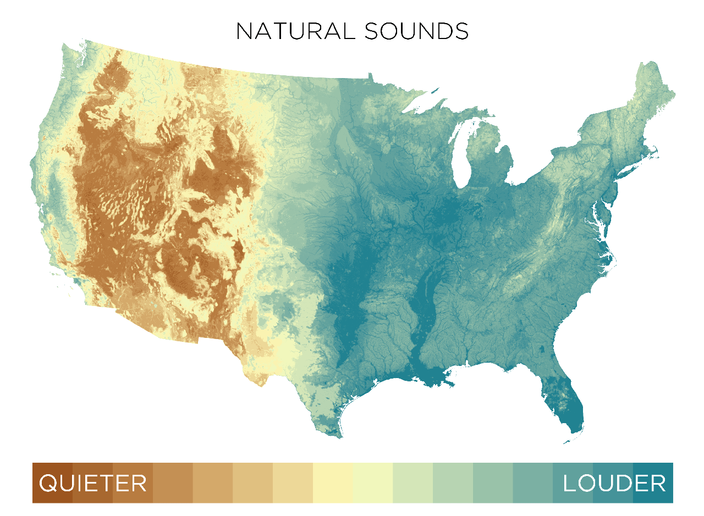 Researchers from the U.S. National Park Service, led by Kurt Fristrup, shared a series of sound maps at a conference in February that model loudness across the country. 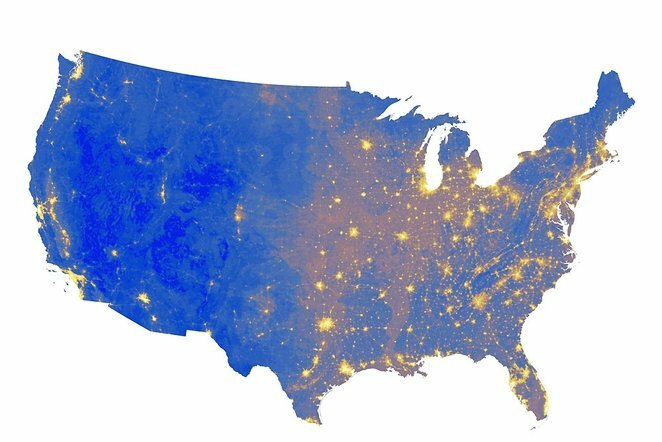 By recording sounds in hundreds of locations, from the quietest national parks to the noisiest urban areas, the researchers were able to map out the loudest areas in the United States. It's probably not surprising that noise follows population fairly closely, but what's unnerving is that noise pollution grows faster than the human population and is more than doubling every 30 years. 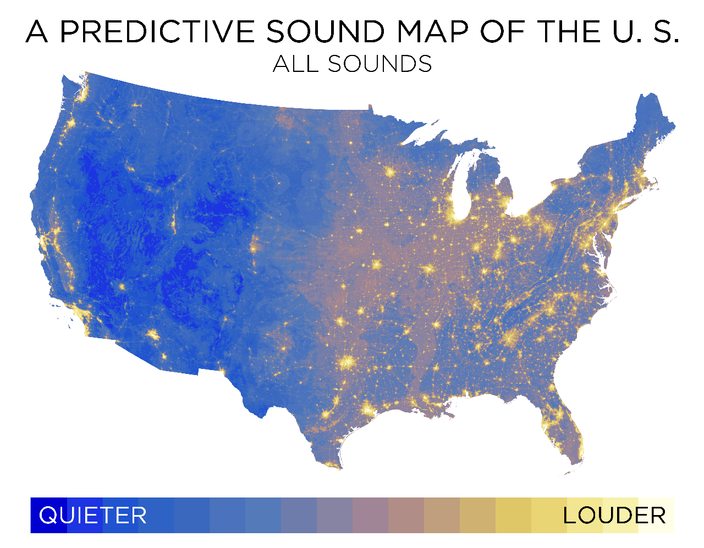 The second map illustrates what the United States sounded like prior to the Industrial Revolution. The brown areas measure at less than 20 decibels, while the darkest green regions go up to 40 decibels. Fristrup said this increase in noise could be robbing us of our natural hearing. "Some animals have much more sensitive hearing than humans — owls are a good example — but humans are rarely able to take full advantage of our hearing because noise levels in our communities mask our capacity to hear quiet or subtle sounds," he explained in an interview with Park Science. He said a greater effort must be made to decrease the amount of noise pollution in nature and in our communities. "The most threatened resource is a noise-free background in which to hear natural sounds."